Welcome to Shaboard, a place where we believe STRONG WOMEN make STRONG COMMUNITIES. The Women’s Empowerment Principles offer practical guidance to business and the private sector on how to empower women in the workplace, marketplace and community. Developed through a partnership between UN Women and the United Nations Global Compact, the Principles are designed to support companies in reviewing existing policies and practices—or establishing new ones—to realize women’s empowerment. 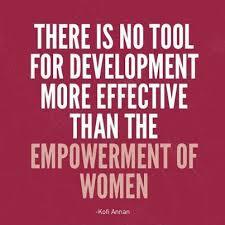 Remember, As Shaboard believes, Empowering women will benefit the whole society as they are the anchors of families. Be the first to comment on "Shaboard | Women Empowerment Principles"